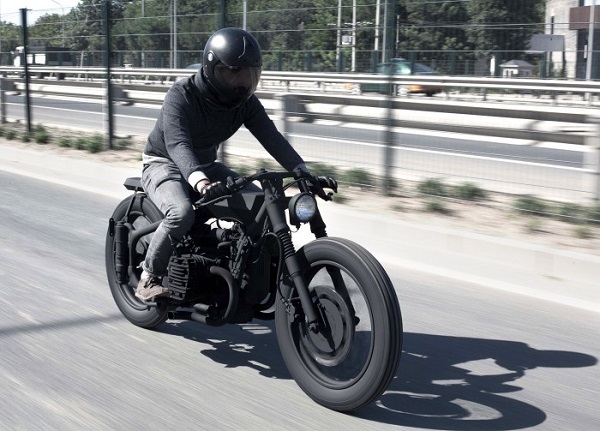 Based in Beijing, custom motorcycle design shop Bandit9 unveils their latest creation, the Nero MKII. With a custom gas tank, rear cowl, handlebars, fork, and foot pegs, as well as the curved dual exhausts, exposed suspension, and completely matte black paint job, you’re guaranteed to be one of a select few with such a beauty – one of nine to be specific. As of now, there are still five models left so if you’ve got some money to burn, head on over to the shop’s website. Enjoy it guys!